Is it time you swapped Ubuntu for Fedora? Each Linux distribution has a unique flavour and identity. Ubuntu, with its penchant for brown, 'Linux for human beings' motto and willingness to compromise on non-open-source drivers and software, currently leads in the popularity stakes. But there's more to Linux than Jaunty Jackalope. Fedora is the old pretender of the Free Software movement – a distribution many would consider the archetype of Linux distributions everywhere. It takes an uncompromising approach on excluding packages that aren't certifiably open source, and makes few concessions to those unfamiliar with the way Linux works. It may seem austere and frugal compared to its more consumer-friendly rival, but there's plenty of interesting content there for those prepared to look. 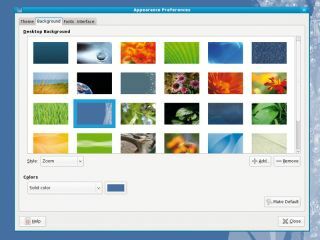 The release of Fedora 11 comes hot on the heels of Ubuntu's latest offering. Both products are wedded to a six monthly release cycle that follows the biannual release of the Gnome desktop, and they both package the same version – 2.26. They also bundle the same versions of Xfce (4.6), the X server (1.6) and KDE (4.2). But Fedora's delay has given it a serious edge over Ubuntu when it comes to scraping off the cream of open-source software. OpenOffice.org is now 3.1, rather than 3.0. The kernel is 2.6.29 rather than 2.6.28. Firefox is up to 3.5 (formally known as 3.1), and Thunderbird is at 3.0 rather than 2.0. Each new version marks a significant update on the older packages, and despite the regulated nature of a distribution release, there's unlikely to be such a favourable alignment of major releases for another several years. If you want to wait for Ubuntu's official packages of these applications, you'll be preparing for Halloween before you can use them on your PC. There's another major difference between Ubuntu and Fedora, and that's Fedora's contentious choice of defaulting to the ext4 filesystem. Ext4 is a major update of the Linux filesystem and promises a 25 per cent performance boost along with a glut of other features – but there have also been reports of data loss if there's a sudden power outage. Its inclusion in Fedora is significant: while Jaunty includes ext4 as an option, Fedora's official blessing means ext4 has made it to the mainstream. The second battlefront is boot speed. Both distros try their hardest to reduce the time from power-on to desktop, and Fedora developers set a target of 20 seconds in the race to the log-in screen. There's no doubt there's been a huge improvement, but in our tests Ubuntu just beat Fedora with a time of 35 seconds. However, there are plenty of reports that the new Fedora can take you to the log-in screen in 20 seconds if your hardware is up to it. The main reason why Fedora has a healthy following is that it doesn't help to redistribute closed-source and locked-down components. That means that you lose the convenience of proprietary video drivers and multimedia codecs, but if you're a fan of pure open source you do gain some of the moral high-ground – and both Fedora and Red Hat are influential enough to force changes in attitude, given enough users and enough time. The direct link to the commercial enterprise of Red Hat also means that Fedora is incredibly secure and stable: its RPM package management is an industry standard. Fedora gains a lot of credibility from its community driven sibling, with the only downside being a relatively short life cycle for support on each release. Fedora users only enjoy 13 months of support while Ubuntu users receive 18 months as standard, with three and five years for desktop and server LTS editions.